Howdy, Anker fans! Let’s have an auction! After receiving some feedback last time, we want to clarify a few rules before we begin. Participants are not limited to raising the bid by 10 PowerBucks only. Rather, bids must be made in numbers divisible by 10 (for example, 50, 70, etc.). However, participants may not raise the bid by more than 100 PowerBucks at a time. All clear? Let us know in the comments if you have questions! 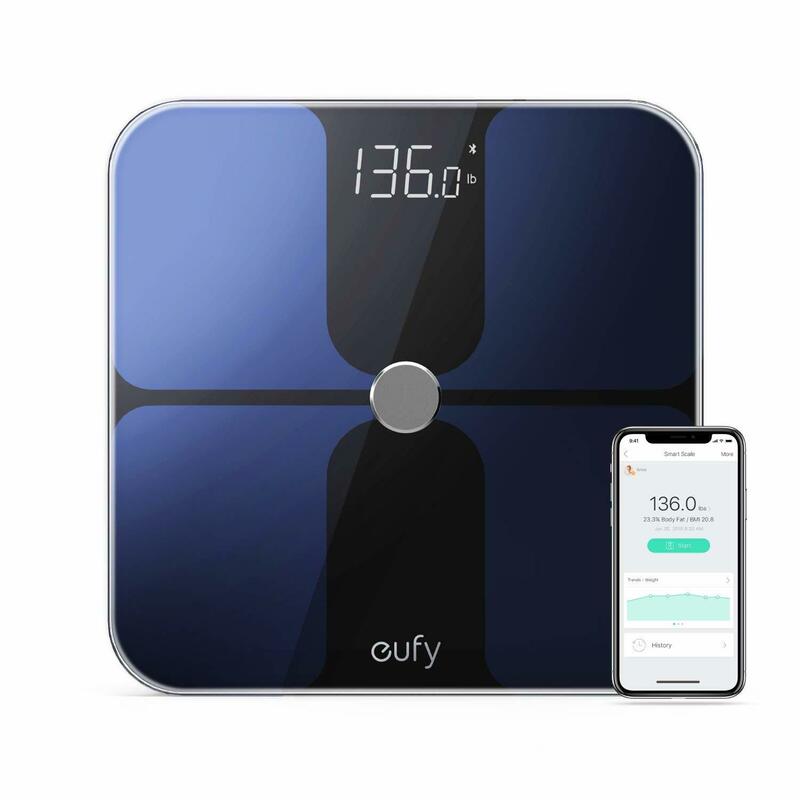 Up for auction today is the scale that not only measures weight, but tracks and records vital health data, delivering the results seamlessly to your phone. We’ll start the bidding at 10 PowerBucks. Bidding starts at 10 PowerBucks. Users may raise the bid in the comments by numbers divisible by 10 (10, 20, 30, etc. ), and may not raise the bid by more than 100 PowerBucks at one time. The highest bidder at the end of the auction will win. If the highest bidder at the end of the auction does not have the required balance of PowerBucks, the prize will go to the next-highest bidder. The PowerBucks required for the prize will be withdrawn from the winner’s account within 3 business days of the winning announcement being made. Each user may make an unlimited number of bids. This auction event ends on December 2nd, 2018 at 12:00am, PST. The winner will be announced on December 4th. Open to residents in the US, UK, Canada, Germany, France, Italy, and Spain. @Jesse_Hernandez1 has won this edition of the Anker Auction, and will be bringing home a eufy BodySense Smart Scale for 960 PowerBucks! Congratulations! If you have suggestions for what you’d like to see in the next auction, feel free to drop them in the comments. Be sure to stick around the community for the latest news and events, and we’ll see you at the next Anker Auction! I start bidding 10 bucks. I have to sleep alone in the cold basement! @elmo41683 going for the kill buddy. You want another weighing scale ? Two different apps, two different scales, one for him and for his wife!! !